Too windy for any trapping and ringing. Today the local Birdlife partner NOF Rogaland held a course in wader identification at the bird observatory. An excellen presentation by Björn Mo was followed by a short excursion down to Revtangen. Despite wind and a few rainshowers a good selection of waders were seen, including adult Grey Plover, juvenile Spotted Redshank and juvenile Black-tailed Godwit (ssp. islandica). 14 participants. 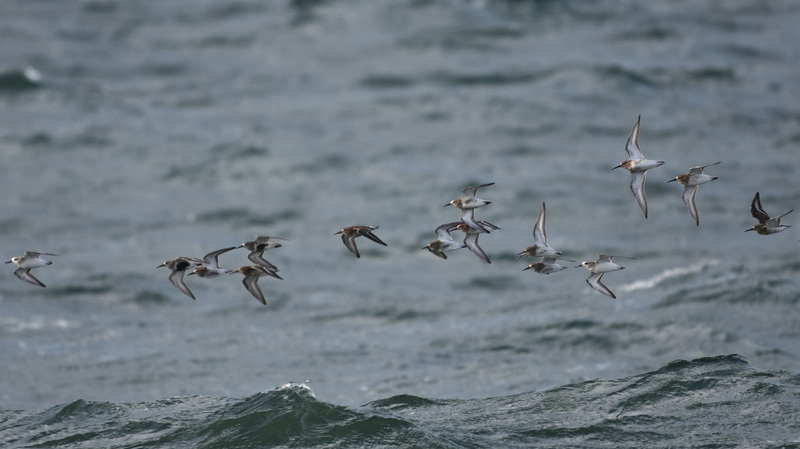 Sanderlings and Dunlins migrating past Reve kai in the evening. Mixed wader flock past Reve kai in the evening. 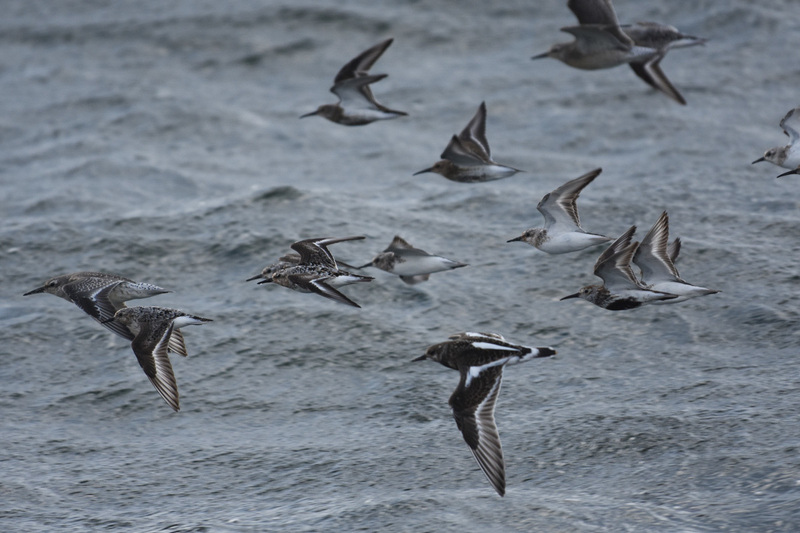 Jubenile Red Knot, juvenile Turnstone, adult Sanderlings, adult and juvenile Dunlins. Renate Berg, Alf Tore Mjös and Björn Mo.